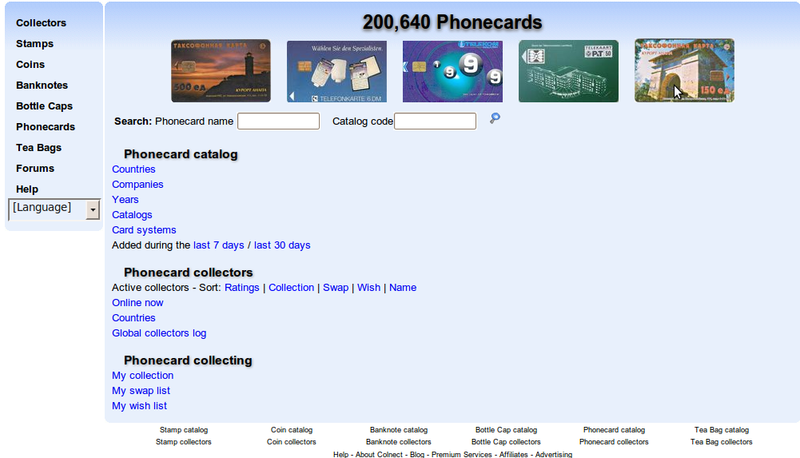 World's Biggest Phone Cards Catalogs Now Has Over 200,000 Phonecards Listed! Colnect's comprehensive catalogs reached yet another milestone today, as 200,000 phonecards have now been uploaded onto the site. 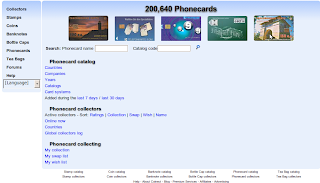 Perhaps even more impressively, over 4,444 phonecards were added by dedicated phone card collectors and contributors in the past month alone. More phone card collectors enjoy Colnect, with over 400 collectors currently having at least 1,000 phonecards marked in their collection (and many more with smaller but still sizable inventories). Brazil, with over 50,000 phone cards listed, is now by far the largest source of these phone cards. Our phone card catalog is only as big and as extensive due the continuing work of contributing collectors who help us make it the best catalog out there. We would like to extend our gratitue to each and every one of and especially to our phone card coordinator, Ignacio F López Vico [iflvico]. 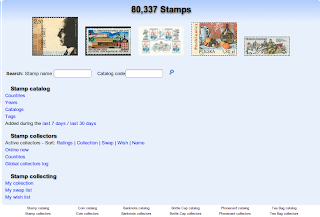 Colnect's continually growing stamp catalog has eclipsed a new milestone, as 80,000 stamps are now featured on the site! This milestone could not have been reached without the unwavering support of stamp collectors and contributors, who are constantly adding to and updating the catalogs to provide the best collection experience possible. Colnect catalogs will continue to improve on the most extensive variety of collectibles through expansion into new categories and the ongoing enhancement of existing ones. During the last month, over 4,000 stamps were added and we've like to use the opportunity to thank the collectors who have helped out by contributing content and especially to our stamps coordinator, Fabian Eicke. Colnect has reached a new milestone today by eclipsing the 7,000 collectors mark! This lucky milestone X 1000 indicates that Colnect continues to grow and reach new heights. At this rate, it won't be long before Colnect challenges E-Bay as the web's most popular collectibles site. Remember: You can help Colnect grow while also earning money for yourself through our affiliates program. We're also happy to let you know that Colnect has over 3.4 million pages indexed on Google. As more collectors on Colnect help out improving Colnect's catalogs by adding items, the amount of pages offered by Colnect is growing quickly. This interview has been done a couple of months ago and published yesterday. At the time, Colnect had ~4,200 collectors and today we are nearly 7,000 strong. There are a lot of references to Colnect's winning the Startup2.0 competition but it also goes over what Colnect is and is trying to achieve. Colnect expanded its market reach today by acquiring the on-line startup E-Bay, in a move designed to solidify its place atop the collectibles market. The transaction was confirmed on LinkedIn, with Amir Wald taking over immediately as E-Bay's Chairman of the Board and CEO. Although the acquisition is expected to increase traffic to Colnect slightly, the real long-term benefits lie in the potential of using the Colnect brand name to rejuvenate E-Bay's (and several of its subsidiaries) fledgling operations and to eventually turn them into profitable ventures with high traffic. Now seriously: Linked-In should fix this bug ASAP. Should more traffic bring more revenues on AdSense? Read on and you might be surprised. 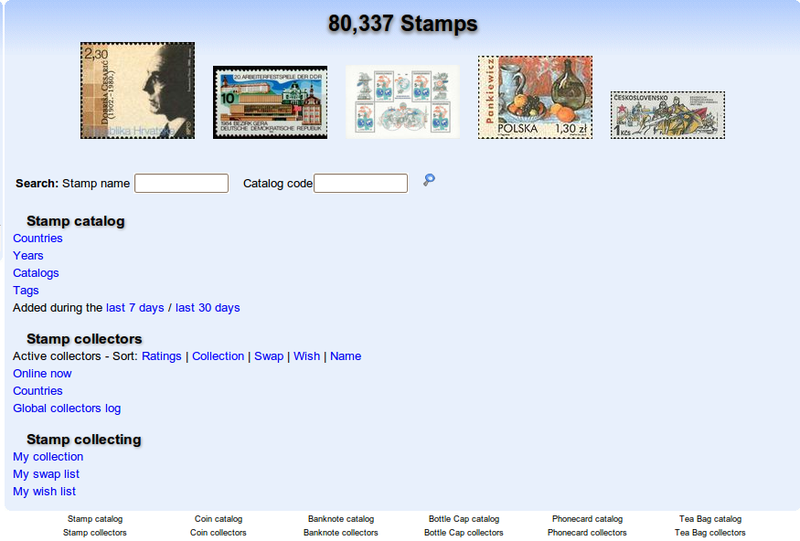 Colnect is a content-rich website for collectors of stamps, coins, banknotes, Phone Cards, Bottle Caps and Tea Bags. We use Google Analytics to measure our traffic and it's connected to the AdSense account. A comparison of Colnect's statistics for September-October 2009 reveal that in comparison to the 61 days before them, there has been a rise of 31% in AdSense Page Impressions, 36% in AdSense Unit Impressions but ONLY 3.3% in AdSense Revenues!!! Yes, you are reading these statistics correctly. Correlation between the rise in traffic and in revenues is almost non-existent. A few reasons come to mind but let's start with your comments on the subject. What do you think?